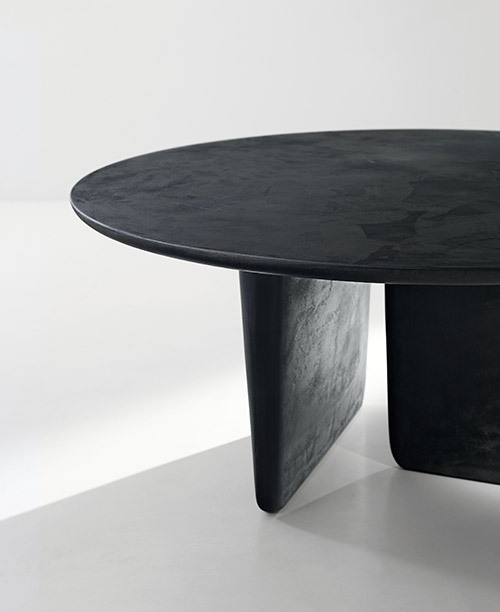 By Edward Barber and Jay Osgerby for B&B Italia. The name refers to the ornamental stones in Japanese gardens. The over-hanging top and bases look different depending on the viewpoint, which endows the table with highly personal interpretations. 64” x 29” – Price $7,800. 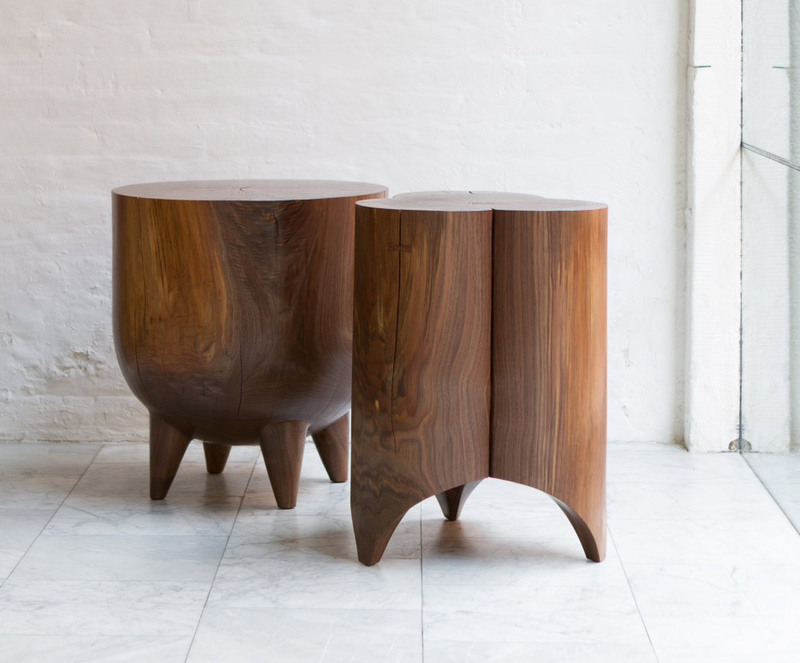 Hand carved in New York from locally sourced and salvaged hardwoods. Both tables are shown in Black Walnut. They can be used as side tables or stools. Shown on left 17” x 19” & on right 16” x 20”. Starting at $3,915 depending on material & style. 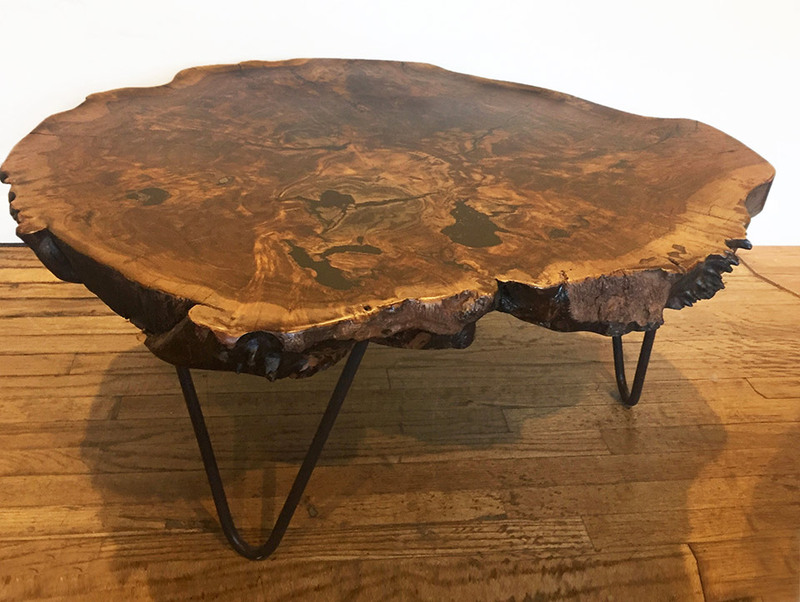 Live edge coffee table made in Bellevue, Idaho. Made from the root ball of a 75 year old Black Walnut tree that was unearthed in 1979. 32/25” x 14.5” – Price $1,200. A sideboard server can add a dash of panache to a dining room but a piece like this really reaches its pinnacle of style and personality when a dweller uses it to fit their needs. This beautiful rustic 2 door/2 drawer sideboard is built with reclaimed wood that once functioned as a support beam or the boards of a family barn. This piece is bold, sturdy, unique, and made to last. 72” x 34” – Price $3,180. Our most popular table for 2016. 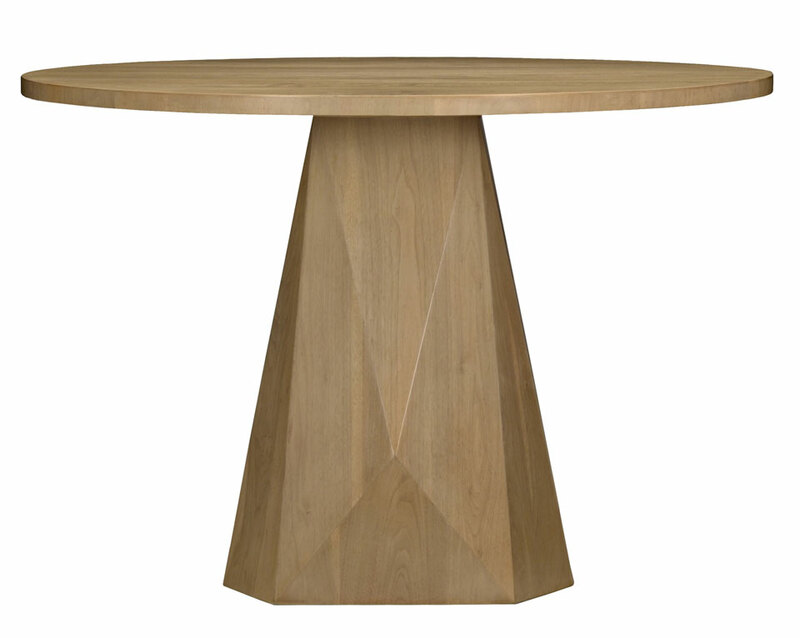 Unique, geometric pedestal base with a round top makes a great dining or center table. Shown in Antwerp- Eland finish on Walnut. 54” round and 30” high. Custom sizes available. Double Pedestal version also available (969). Price upon request.